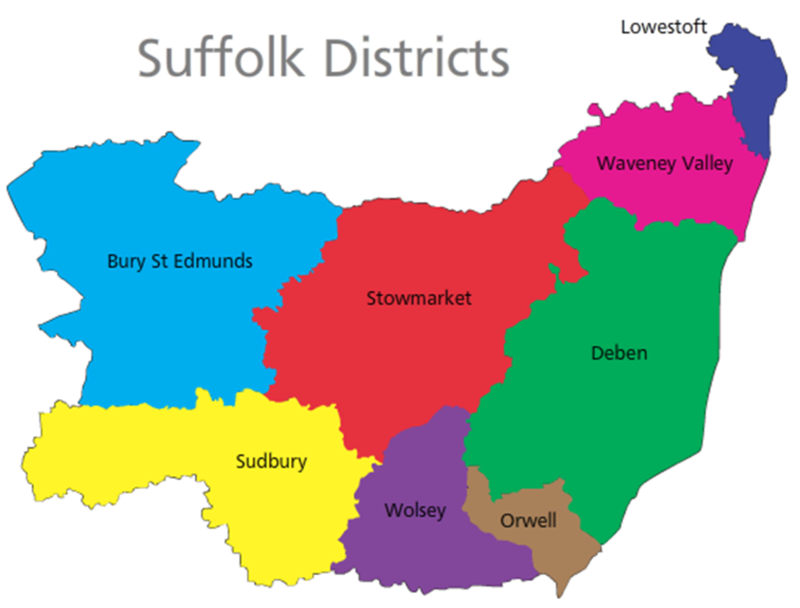 In Suffolk there are 8 Districts: Bury St Edmunds, Deben, Lowestoft, Orwell, Stowmarket, Sudbury, Waveney Valley and Wolsey. Orwell has 16 Groups and 5 Explorer Scout Units. Each has a Group Scout Leader (GSL) with most having Beaver, Cub and Scouts Sections, with the Leaders that go with them. This is about 1250 people!